Life's Journey To Perfection: 2016 LDS Sharing Time Ideas for May Week 3: The Book of Mormon is another testament of Jesus Christ. 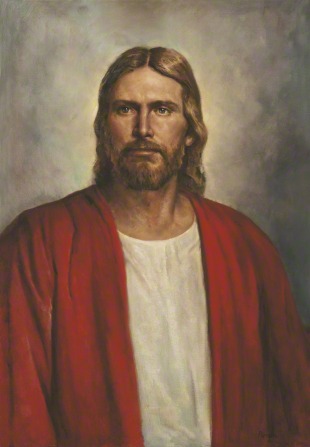 May Week 3 Topic: The Book of Mormon is another testament of Jesus Christ. Begin Sharing Time by inviting a primary child to come up and look inside of the bag, in the bag place an item such as a picture of Christ. Invite the primary child to tell the rest of the primary what is inside of the bag, without showing them and without giving a lot of details. Explain to the primary children that the child is testifying to them what he knows is in the bag. Ask the primary children if they believe what the primary kid says? Invite another primary child to come up and look inside of the bag, invite them to tell the rest of the primary in detail what it inside of the bag. Explain that the second primary child is the second witness. He/she confirms what was said by the first person and even added more detail so we could get a better picture of what was inside of the bag. Now show the primary children the bible. Ask the children what it is. The bible is a testament of Christ, written by ancient prophets in the Holy Land (places like Jeruselem). Show the primary children the Book of Mormon. Ask the primary children what it is? 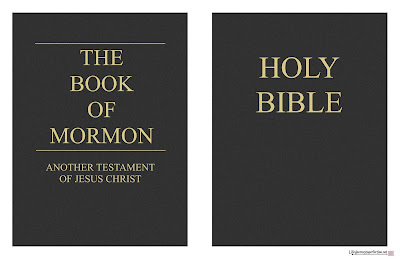 Explain that the Book of Mormon is another testament of Jesus Christ, written by ancient prophets in the Americas. It supports what is said in the bible and it gives great details for our Heavenly Father's plan. It does not replace the Bible, it is a second witness. 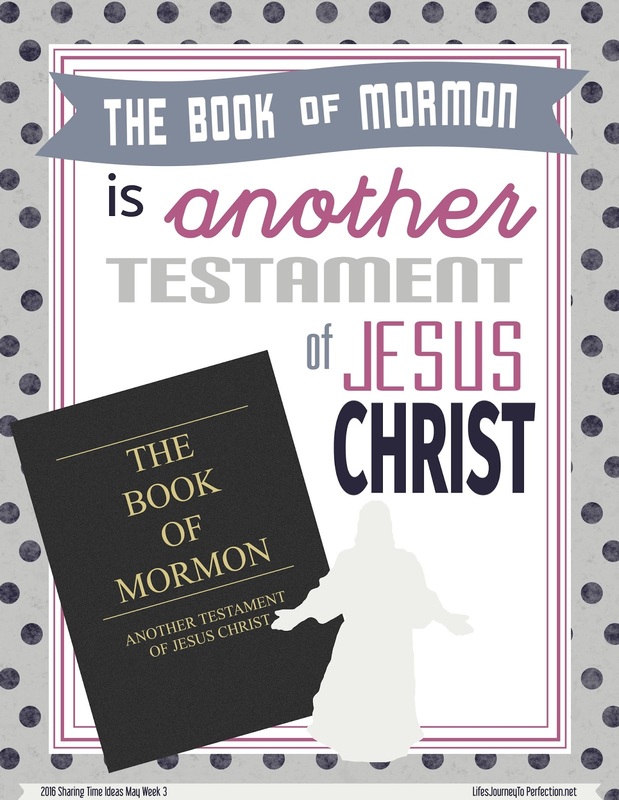 Show the primary children the week's theme poster and invite the children to repeat, "The Book of Mormon is another testament of Jesus Christ". 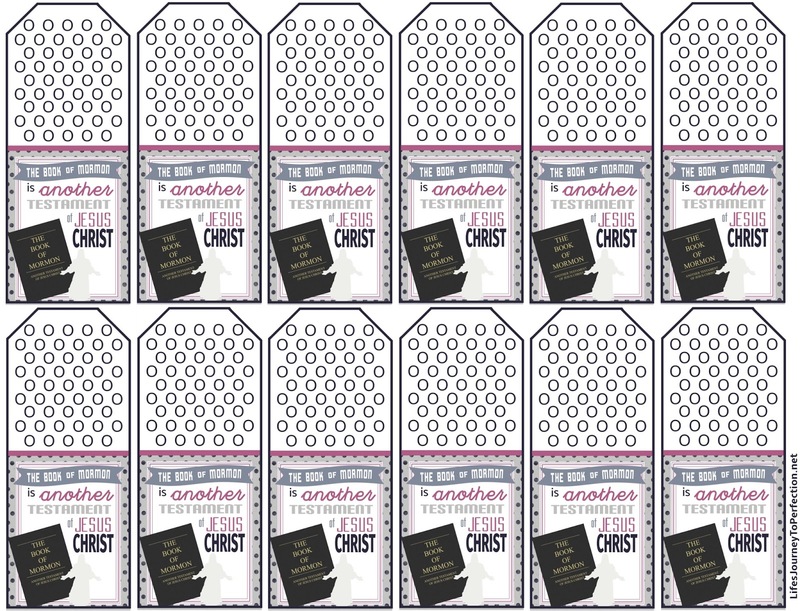 Scatter the scripture cards on the floor or on the board. 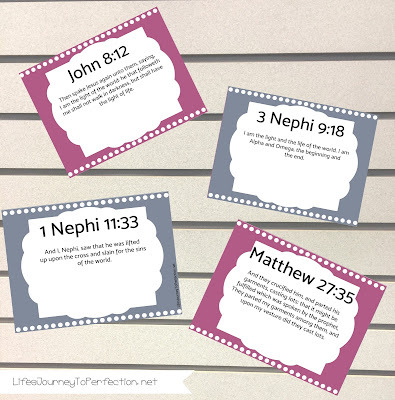 Invite a primary child to come up and match the two scriptures that teach about the same thing. 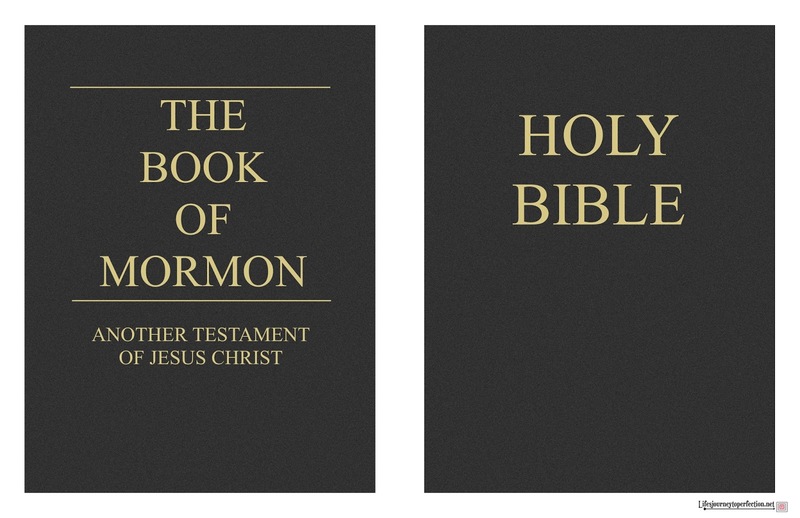 One of the scriptures will be from the Bible and the other will be from the Book of Mormon. When the are matched read both scripture and invite the primary children to share what the scriptures teach. Continue with the remaining card, matching them and reading and discussing them. When finished, discuss with the children that by having both the Holy Bible and the Book of Mormon we have two witnesses that testify of our Savior, Jesus Christ. Thank you so much for visiting the blog! I hope that some of these ideas are useful as you plan the best way to teach your primary kiddos and help them to understand the topic. I'd love to hear from you and how you used any of these ideas!! 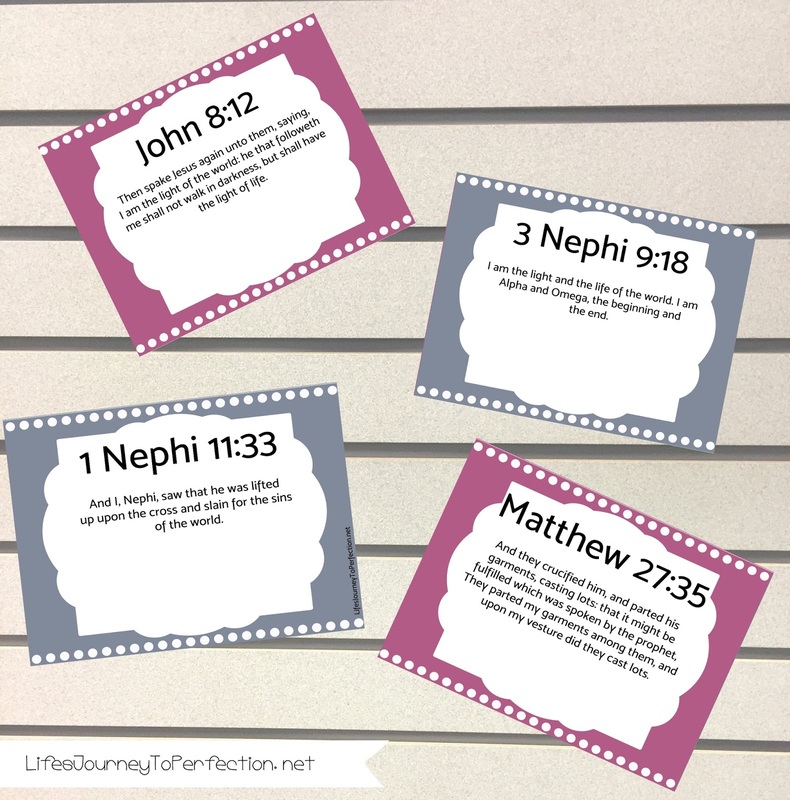 Sharing Time Ideas for January 2016 Week 4: I can know the scriptures are true. Love the scripture matching idea Kim. Thanks for the printables to make it easy.